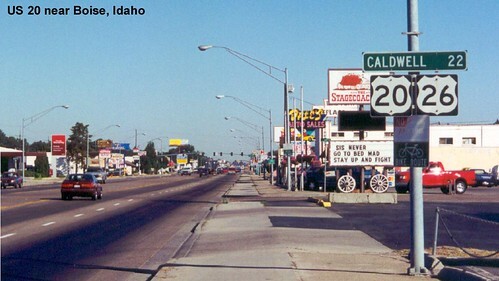 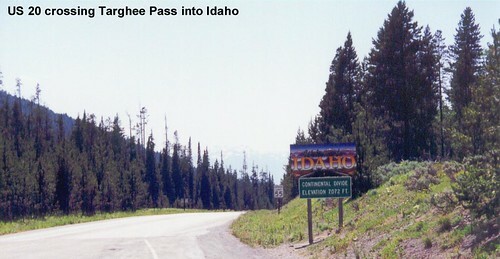 US 20 enters Idaho as it crosses the continental divide. 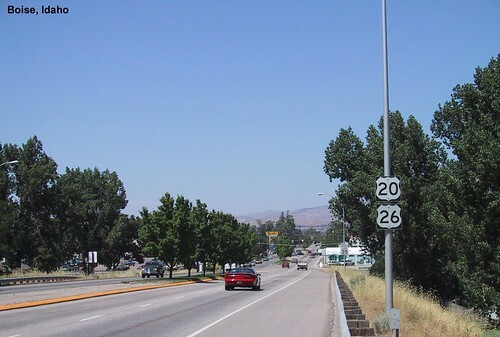 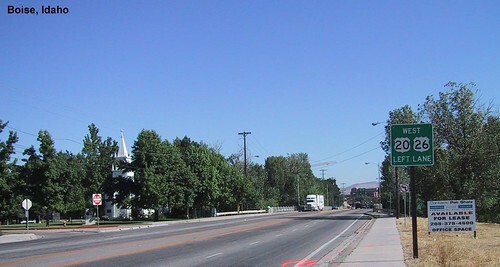 US 20 is multiplexed with US 26 through a large section of Idaho. 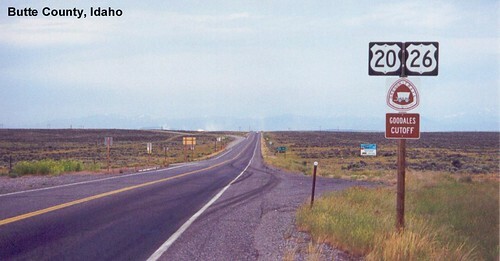 US 20 passes Craters of the Moon National Monument on the north side. 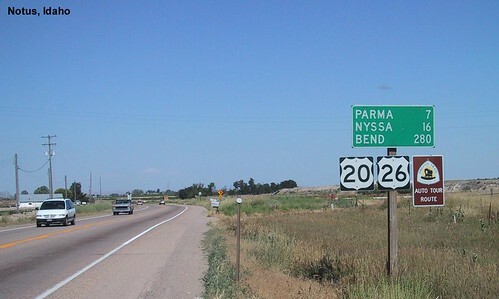 We stopped for a bit to view the interesting landscape. 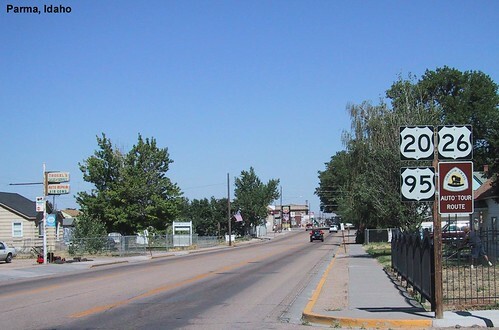 US 20 meets US 26 again at Mountain Home.